A diet high in omega-3 fatty acids may alleviate asthma symptoms in children, while eating foods high in omega-6 fatty acids could worsen symptoms, according to a recent study. Previous clinical trials have shown that omega-3 has pro-inflammatory properties. 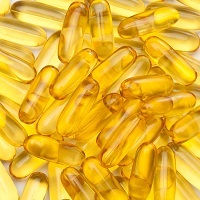 But investigators believe this is the first study to show both the omega-3 protective effect and deleterious effect of omega-6 on indoor particular matter exposure (PM) and systemic inflammation. Subjects for this study came from the AsthmaDIET study, an urban pediatric asthma cohort in Baltimore, MD. While it has long been believed that living in urban areas itself was a risk factor for asthma, recent research has shed more light on other overlapping causes, such as poverty and ancestry. According to the American Lung Association (ALA), childhood asthma rates are 12.2% in families whose income is less than 100% of the federal poverty line, compared to 9.9% for those whose income is 200% of the federal poverty line. It’s even lower for children whose families are more than 200% of the federal poverty line, at 8.2%. African-American children are also twice as likely as white children to visit the emergency room for asthma exacerbations, and 4 times as likely to die. Of the 149 children enrolled in the AsthmaDIET study,135 were included in this study. Subjects were 5-12 years old, diagnosed with asthma, had symptoms or used medication within the last 6 months, had no food allergies, and were not taking antioxidant supplements. Medication use, body mass index (BMI), asthma severity, and lung function were evaluated. Indoor PM, dietary intake, daytime/nighttime asthma symptoms and albuterol use were tracked by parents and noted at baseline, 3, and 6 months. White blood cell count, as well as neutrophil and eosinophil levels were collected. Ninety-six percent of the children were African-American, 91% were on public assistance, and 71% of caregivers had at least a high school education. One-third had mild asthma, one-third had moderate asthma, and one-third had severe asthma. Within the previous 2 weeks, 66% used albuterol and 47% used inhaled corticosteroids. As omega-6 intake increased, the odds of severe asthma increased (OR 1.20, P= .02), and lung function deteriorated demonstrated by lower FEV1/FVC (β -0.012; P= .01). Asthma symptoms in response to indoor PM2.5 were amplified at higher levels of omega-6 (OR 1.02 per 1g increase in omega 6; P< .01) and reduced at higher levels of omega-3 (OR 0.96 per 0.1g increase in omega-3; P< .01). Likewise, the levels of neutrophils were increased with higher omega-6 intake (β 0.17 per 1g increase in omega-6; P< .01). Brigham also believes there is a need for epidemiologic work to define which populations have the greatest potential for benefit. The study, “Omega-3 and Omega-6 Modifies Asthma Severity and Response to Indoor Air Pollution in Children," was published online in American Journal of Respiratory and Critical Care Medicine.